…right. Where was I? Ah yes writing a poem… nope that’s in another tab. Oh yeah, getting distracted. I’ve always been a bit of a daydreamer, inclined to stop halfway through a task and just stare into space with my thoughts. It used to drive my friends nuts when I was at school if they sat behind me at an exam. From their perspective I spent half the allotted time staring at the ceiling, counting the tiles, but still finished with plenty of time and managed to pass. My mind tends to jump from subject to subject and I get very easily sidetracked by whatever shiny thing I’m obsessed with this week (snorkeling at the moment if you’re wondering). However I do somehow manage to function as a human being despite this, so I thought it would be useful to share some tips on how I manage to keep my productivity roughly on track. Some of these ideas are apps either on your phone, on your PC or both. Some of them are simply mental exercises or can be achieved using good old pen and paper. They all help me stay on track throughout the day and hopefully most of you will find them useful too. To do lists are one of the best tools for staying on top of your day-to-day tasks. A few years ago I started making a point of writing out a list every morning when I got to the office which made it a lot easier to plan my day and order my work into manageable chunks. Sometimes having a list written out can be a little daunting, especially if that list doesn’t change much from one day to the next, but if you embrace the positives it can help you identify quick wins and you’ll learn to love the feeling of ticking off task after task. I made the switch to electronic to do lists recently and Wunderlist is a brilliant example. It gives you multiple folders and lists, recurring tasks, the option to mark important or urgent tasks and it syncs across multiple devices. All for free. If, like me, you spend most of your day in an office hooked up to a corporate email server then you’re probably familiar with Microsoft Outlook. It’s array of meetings, appointments and tasks which can be configured on your calendar with various reminders and alerts are great for popping up a detailed reminder on your screen when you need to do something. I use it all the time for reminding myself about work tasks like catching up with a client to mundane household tasks like booking my car service. 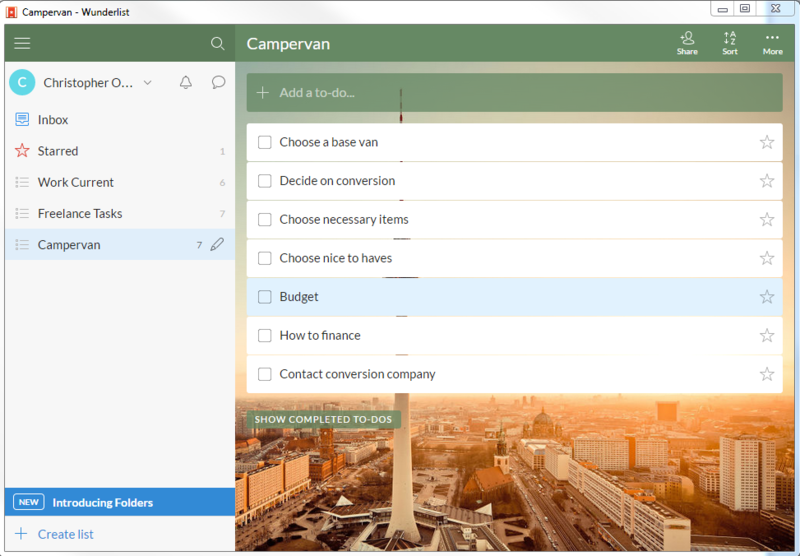 These days with many large companies moving to Office 365 and cloud solutions it’s likely that you can access all your reminders on the move as well. If you don’t use Outlook or you want a calendar environment which syncs seamlessly with your mobile experience then Google’s offering is perfect, at least if you’re an Android phone user. Like Outlook, you can use this to remind yourself about appointments, deadlines and anything else you might want your phone to prod you about throughout the day. Plus being a cloud service means it will sync across your phone, desktop and tablet devices wherever you go. I find it hard to stay focused for long periods. My brain flits between subjects every few minutes and I often find my hand creeping towards the web browser any time my concentration dips. However recently I’ve had some success at improving my concentration using a simple program on my phone called Forest. 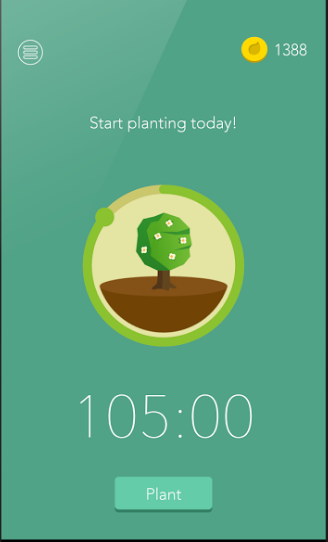 The idea is you plant a tree in the app, which will slowly grow over your chosen time period. Any attempt to do anything else on your phone – check twitter, open email or play a game will result in a tree that’s withered and dead. If you can resist playing with your phone for the set time then you end up with a fully grown tree which gets added to your personal forest. Continued success gives you points that can be turned into different species of tree to add to your forest and there’s various paid extras (e.g. no ads) that can also be purchased. The only drawback for me is that while it acts as a decent mental reminder that I should be doing something other than browsing the web, a lot of the time my phone isn’t my problem. I need to find a similar app that works on my laptop at home and prevents me from checking YouTube or logging into Eve Online. I use Google Drive a lot. I use it for financial management (the ability to jointly edit spreadsheets between myself and my wife is great), sharing photos and other files, and I use it a lot for planning. Whether I’m thinking about a poem, story, article or even home improvements and hobby projects, often the first step for me is to open Google Drive and get a file saved with a few details about what it is I’m planning. If it’s a story this could just be a couple of sentences of synopsis, for a poem it will be a title and maybe one verse (or often a whole first draft, I write poems quickly) and for hobby projects it could be a parts list or just a description of the concept and a high level overview. Once that’s done I know the idea is safe. I won’t forget it. I can go back and flesh it out at a later date or pick through them during moments of writer’s block. The important thing is that I have the idea and get it down somewhere safe and accessible from anywhere so I can work on it and keep track of its progress. I find this really helpful for me to see things through to a successful completion and again because it’s in the cloud I can update it on my phone, laptop or tablet wherever I am. Now I know what you’re thinking but hear me out! Mindfulness might be the hippy technique du jour at the moment with lots of press coverage over the last few years as it gains traction with the alternative therapy community. But even a stopped clock is right twice a day and mindfulness is being adopted in a big way by the NHS and clinical psychologists to treat a host of mental disorders including depression and anxiety. Basically mindfulness is a type of meditation which trains you to focus on the present moment and your state of mind now, instead of worrying about the future or regretting the past. It can be very powerful and enlightening for practitioners. 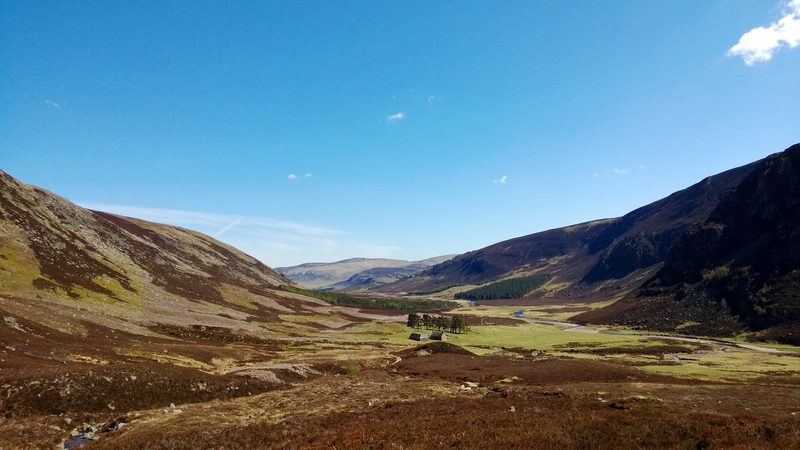 Personally I find that anything which forces you to take a few minutes time out to gather your thoughts in peace and settle your mind is definitely worth trying. There are many courses you can take on mindfulness but to be honest I’d recommend just buying a book with an included CD of meditation examples. Then once you’ve gone through that you can use a timer on your phone or a specialist meditation app to track your times and take you through different types of meditation. I’m often at my most productive in the office when I’m sat with headphones on and listening to some tunes from my phone. Drowning out the background noise of colleagues having heated discussions, the traffic to the communal kitchen nearby or the bus station outside our office window really helps me focus on the piece of work in front of me and I seem to get distracted a lot less. A few months ago my ageing iPod classic finally bit the dust to my great dismay, meaning I no longer have access to my entire music collection on the move. 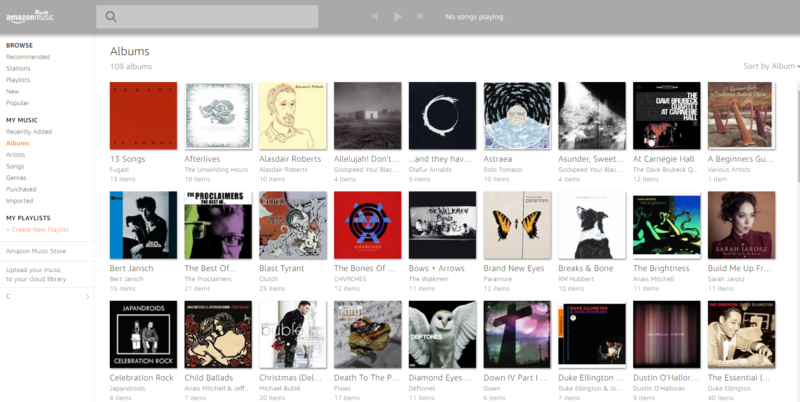 For now I’ve replaced this with connecting my phone to the office Wi-Fi and using Amazon’s cloud music app to at least have access to the large number of albums I’ve purchased there over the years. But I think soon I’ll need to see if I can set up a streaming service on my backup server at home, so I can make sure I still have access to all those 80s and 90s metal albums I grew up with! One of the most powerful tools to clear and focus your mind is fresh air and exercise. Even if you just take the opportunity to go for a walk at lunch time or if you go a bit more gung-ho and use your lunch times like I do to fit in some running or gym sessions then I guarantee you’ll see a big benefit in your focus levels. Plus if you’ve stared at the same piece of work all morning just getting away from it for half an hour so you can sit down feeling fresh and maybe approach it from a new perspective on your return can work wonders. Next postHey Internet, stop making me stupid! Very helpful Chris, I’m going to use some of these. Especially that Forest one. It’s great. Since I wrote this I’ve also found a Chrome extension called Block Site which you can use to block specific websites at certain times of the day. Used with Forest on my phone could be a powerful combination.